Activision Blizzard Inc. (ATVI) and a group led by Chief Executive Officer Bobby Kotick agreed to buy most of Vivendi SA (VIV)’s stake in the company, the biggest U.S. video-game publisher, for $8.17 billion. The stock soared. The maker of “Call of Duty” and “World of Warcraft” will take on debt to purchase shares held by Paris-based Vivendi for $13.60 each, or $5.83 billion. Kotick and partners including co-Chairman Brian Kelly, Chinese game maker Tencent Holdings Ltd. (700), Davis Advisors and Leonard Green & Partners, will pay $2.34 billion, according to a statement yesterday. The accord ends five years of control over Activision by the French media and telecommunications company, and months of uncertainty for the Santa Monica, California-based video-game company as its departing parent sought ways to reduce debt. Activision and Kotick are buying out Vivendi at a 10 percent discount to yesterday’s closing price and said the terms would lead to faster profit growth this year. “We tried to construct a transaction that rewarded our public shareholders and this structure accomplishes that,” Kotick said in a telephone interview. His group will own 25 percent of the company, according to the statement. Vivendi SA VIV.FR -1.23% is working with two investment banks to explore the sale of videogame giant Activision Blizzard Inc., ATVI -0.25% in which the French conglomerate owns a majority stake, people familiar with the matter said. Goldman Sachs Group Inc. and Barclays BARC.LN +0.82% PLC are helping Paris-based Vivendi assess its options around Activision Blizzard, which has a market capitalization of about $13.4 billion. Vivendi owns a 61% stake through a 2008 merger of its gaming unit, Blizzard Entertainment, with Activision. 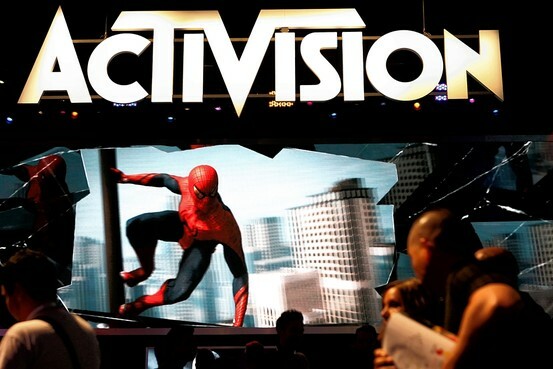 Attendees visiting the Activision Blizzard display at the E3 Expo in Los Angeles last month. Game developer Blizzard will release its fourth expansion pack for “World of Warcraft” — an expansion that lets people play the massively popular online game as a race of giant humanoid pandas known as the Pandaren.